Everytime someone comes over to visit me, I've asked them to write their name and what they are thankful for on a leaf. And Hang it on the tree. Then just before we eat Thanksgiving dinner, I will read them all. Here is my template if any of you want to make your own tree. I just printed the leaves on colored paper and cut loosely around them and punched a small hole in the stem. Then I use ornament hooks to hang them. I love your tree! What a great idea to remind us what we are thankful for this holiday season. Your grandkids are adorable! The tree is so cute. Thanks for the leaf pattern--it's a little late for this year, but I plan to put it away with my fall decor to use for next year! Love this idea. I posted a few variations of our tree, but I love your real branches the best ! I love this idea! 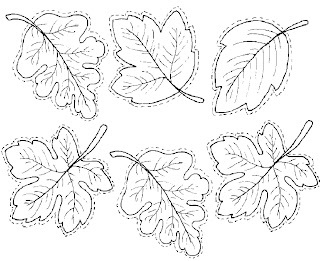 And thanks for giving us the leaf template to use. I linked to this post from my blog today.